Near my residence is a pond covering possibly five acres of a former swamp. It has been created by a family of beavers over the past few years. At first they formed a dam along and across a farm road that crossed a small creek outlet from the swampy area. As the farmer needed to use his road he removed the section of the dam crossing his path. This photo is the pond as it originally was. The beavers promptly built a new dam a few feet downstream from the former one. This, of course, flooded the farmer’s road completely. The farmer destroyed that. The beaver built it back higher and stronger. The farmer then built the farm road up some four feet higher, installing a 30” and a 12” diameter sluice pipe under the road. 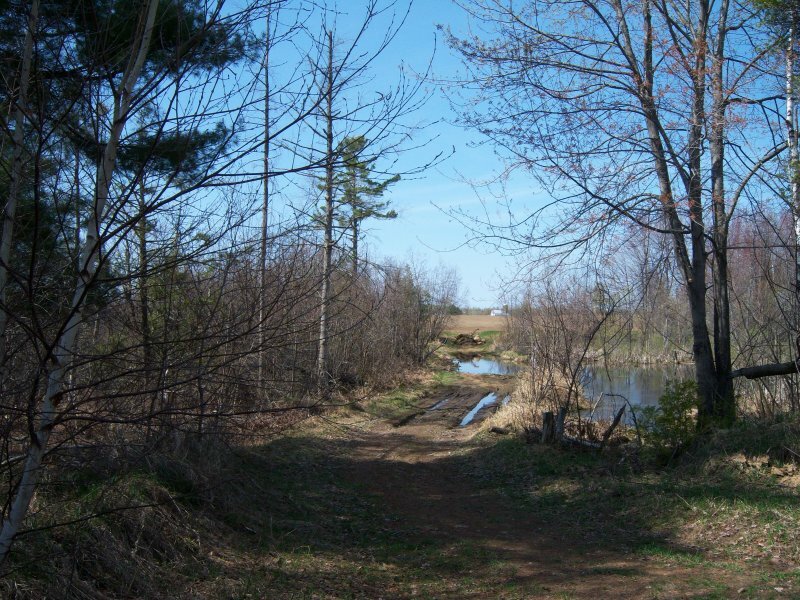 In addition, the farmer, not to be outwitted by a stupid beaver family, brought in a bulldozer and destroyed all of the trees surrounding the swamp, effectively taking away the beaver’s food supply. The beavers plugged the pond end of the pipes causing the water level to rise creating a larger pond extending further back into the swampy area where there were more trees. However, this also caused the pond to widen into the farmer’s fields on both sides of the swamp. The farmer, not wanting to cede his newly bulldozed pond surroundings to the beavers, brought in a backhoe and removed the pipe plugs. The water level began rapidly dropping. The beaver family replaced the plugs the first night. That brings us to the present. As the spring rainy season has already passed, the pond is very slow to completely refill to its former level so the extra size of the pond has not fully returned as of yet. 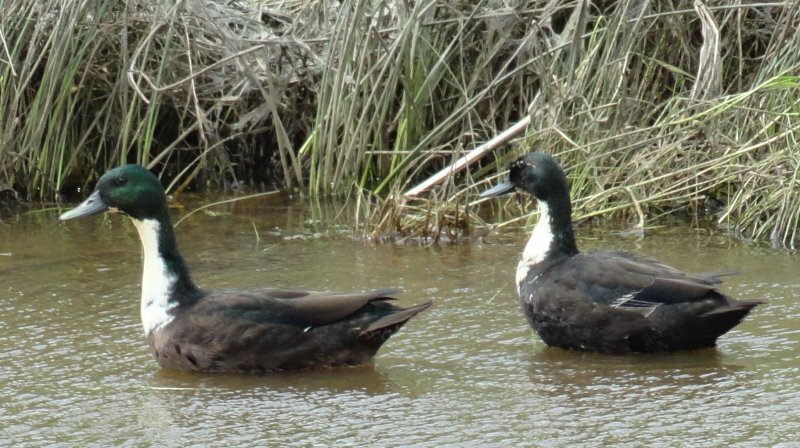 On a recent observatory trip that I made I spotted these ducks swimming in the small portion of the farmer’s field yet covered with water. Having never seen any ducks like these before this I knew not what they were. I rapidly took photos of them. My son asked several of his duck hunter friends what they were, but none knew. Someone thought they might be someone else’s escaped tame ducks. Under the circumstances I placed a photo of them on facebook. My college student grandniece, Janna, informed me they were Duclair Ducks. I yet didn’t know what they really were so I, of course, Googled the term. There are many sites referring to them. It seems they are a cross between Mallards and tame ducks that have been developed in the Normandy area of France. I added this photo for the benefit of anyone else that may never have heard of them. About a half mile from my home there is a pond created by a beaver family. Whether this is good or bad depends on who or what is making the decision. Obviously the beaver must think it is good, or they wouldn't maintain the pond. Nearly as obvious is the aversion the farm owner, upon who's land the pond occupies, has to the beaver and the pond. I tend to make no decisions as to worth or value of this pond, I merely observe. As well as the beaver that this pond provides their choice of home for, there are a number of other forms of wildlife that use it, rent-free. The beaver do all of the work and the other dwellers equally enjoy the result. So much for fairness in the animal world. The above photo depicts one of several muskrat family members that also live in the pond. This is an adult taking food to his family. You can note the green shoots of grass or reeds in his mouth as it propels itself homeward mainly with the use of its tail to a den in the pond bank where a litter of young awaits its return. 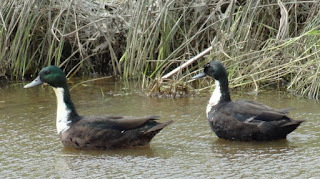 As well as these mammals there is also a family of ducks of some sort. I've only spotted them from a distance so am unaware yet as to their species. In addition to those is a pair of canadian geese that are contemplating a hatching any day now. Common frogs, bullfrogs, turtles, several songbird families abound, as well as the occasional visit from a raccoon, skunk, porcupine, or other small animal all occur. Often in the evening whitetail deer come to drink. Where other humans seldom intrude I find solitude and take comfort in watching our animal friends in their natural habitat. It was a bright and sunshiny afternoon. World War II was ongoing, but that had little effect on four young lads on a dairy farm in northern New York. Bob was about 11 years of age, while Ron was around 9, Dell was 8, and I was about 6. The hay had been removed from our ten-acre-meadow leaving just freshly mown stubble. As the four of us roamed the farm looking for some trouble to find us, we spotted a woodchuck nibbling from the newer green shoots poking up among the yellowed shafts of the removed crop. Engrossed in the new-found panorama surrounding it, the woodchuck without doubt had spotted us long before we laid eyes on it. That had little deterrence on the four of us though. Almost in unison we shouted with glee as we headed for the woodchuck sure that we could capture it for a nice pet. In our minds it was as good as in some sort of a pen we would build for it. Before we were half way to it, Mr. Woodchuck dropped down a convenient nearby hole and disappeared. We had interrupted his afternoon meal, but accomplished little more than that. As we stood around the hole in the small dirt pile surrounding it we contemplated our next move. It was Ron that came up with the brilliant plan of filling the hole with water, which obviously would flood the woodchuck’s home forcing him to the surface where we would grab him. It was as good as in a pen already. Bob and Ron each found a pail, filled them with water at the hand pump, carried them about a tenth of a mile to the hole and dumped them in. Little changed beyond a general dampness near the surface. Back they raced to the pump for two more buckets full. Down the hole went the water from the filled pails with approximately the same results as the first trip. Dell and I were the designated watchers to make sure the woodchuck didn’t escape somehow while Bob and Ron were at the well. With no visible effect from the action so far off they went after more water. Sooner or later that hole had to fill. After several more trips, each slower than the previous, Bob and Ron were getting tired so Dell and I were delegated to go after the next two pails full. 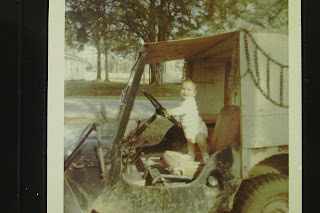 Being somewhat younger and smaller we of course took longer. Bob and Ron seeing a good thing decided they were still tired so Dell and I returned for a second trip. This took even longer than our first one, so things were pretty much slowing down. I don’t remember now if it was Bob or Ron, but one or the other decided we should get our hand-made wagon, load two ten-gallon milk cans, fill them with water and dump them in. Surely, that much water would get the desired effect. After a couple of trips with that rig it was a general consensus we were gaining nothing so we gave it up, at least until the next day. As we trudged slowly back to the house I turned, and I swear that woodchuck was holding his stomach and laughing back on the hill. If one was to go south from Syracuse, NY for a Sunday afternoon drive, in about a half hour they might come to the small village of Cardiff. It was here on a brisk October 16, 1869 afternoon on the farm of William Newell, while digging a well, that Gideon Emmons and Henry Nichols uncovered a petrified 10’ tall man. At first they believed they had dug up an ancient Indian corpse, but it was soon decided that this petrified specimen was some sort of giant rather than a common man. William Newell, knowing a good thing, set up a tent over the giant and charged admission for the wagonloads of curious people that arrived to view this wonder of the world. Learned scholars pronounced the oddity a fake, but the droves of sightseers arrived steadily anyway. The giant, whatever it was, was sold to a group that moved it into the much larger city of Syracuse where it again went on display, and continued to make money for the owners. P. T. Barnum, showman extraordinaire, attempted to buy the petrified giant, but it was deemed not for sale even for the princely offer of $50,000. Not to be outdone, Mr. Barnum surreptitiously made a copy of the giant, declared the original a fake, and displayed his own version in New York City, an obviously much larger market. The Syracuse giant owners sued Barnum for calling their giant a fake, but ultimately the Judge decided it was not wrong to call a fake a fake, so Barnum won the case. In the meantime a cousin of William Newell, named George Hull, admitted he had caused the giant to be manufactured by a Cleveland, Ohio German stone cutter Edward Burghardt, placed in the ground at Newell’s farm for a year, and then ‘discovered’ by the well diggers. It was he that had sold the giant to the Syracuse group. 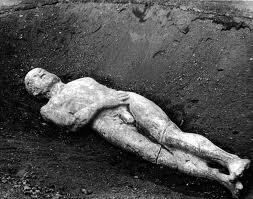 The Cardiff Giant, after residing in several other places, finally settled in Cooperstown, New York at the Farmer’s Museum, where it yet lies in state. Barnum’s fake copy of the original fake resides in a museum in Farmington Hills, Michigan.